Finally we have a European nation that displayed courage to confront the Islamic Shari’ah law’s invasion in Europe. We also started to see France, Germany, and Austria waking up to this threat and started making some laws to stop this virus. This is very interesting, Greece messed up their economy and dragged down the rest of Europe economic recovery, yet they are the first to outlaw Shari’ah Law on planet Earth. 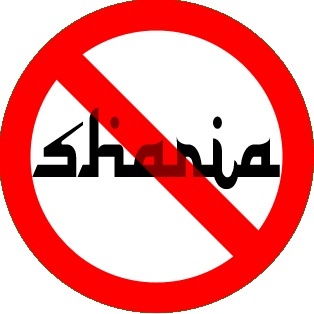 The question is, why the American congress have not taken the same step to outlaw the Shari’a law in the U.S. which is clearly an anti Constitution law? The answer is also very clear. That is the U.S. congress have submitted to the Islamic agenda and Shari’ah law through political correctness, tolerance at the expense of the U.S. Constitution, and distaste to our way of life from the American political elite. We have seen the Jihadist promote, advertise, and push Shari’ah law in Europe, Southeast Asia, Australia, Canada, and now in America. They are not shy about it, actually since 9/11 they have become bolder since the American administration and congress are unwilling to confront them on ideological and political level. Islam is not just a religion, it is a socio-political system that uses a deity to advance its agenda. This agenda is one four levels: Political, Educational, Financial, and Spiritual. American must confront Islam on all of these levels, unfortunately, American politicians are to busy playing the political correctness card that America is losing this battle. Islamists know this weakness in the west and take a huge our Constitution against us. Some say that what is the big deal, it is a religious law for the Muslims? What is that have to do with me? Having this attitude of complacency can destroy America. Since the creation of Islam by Muhammad in the 7th century, Shari’ah law brought nothing but destruction. Destruction on culture, family, women, kids, art, music, and whole civilizations. SHARI’AH LAWS/RESTRICTIONS ARE PER ISLAMIC RESEARCH FOUNDATION INTERNATIONAL, INC.
A husband can instantaneously divorce his wife, or wives and then remarry again. A woman must pay money to her husband for a divorce. A woman’s testimony is unacceptable in cases of adultery or capital offenses. Adoption is not allowed in Islam. Abortion is not allowed in Islam. Custody of children normally goes to the mothers until a boy reaches age 9 and a girl reaches age 7, then they go to the father. If the woman remarries or does not pray then the children immediately go to the father. husbands and are not able to receive an Inheritance from their parents. Muslim men can marry a non-Muslim, but women cannot. Muslim virgins are not allowed to marry without consent from their male guardians. A Muslim man may marry a woman for a fixed amount of time, a few days to several years, for his convenience. This is called (Marriage of pleasure). 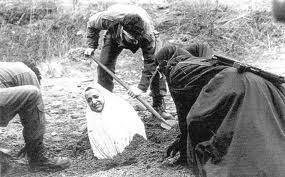 Islam encourages husbands to “discipline” their wives if they refuse to sleep with them; however, they are not to break any bones, teeth, leave marks, or do anything that makes them “ugly”. The husband may beat them up to ten times with a small rod. This is to honor them. 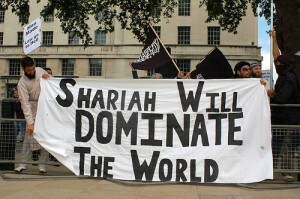 So, one must come to the conclusion that Shari’ah law is not compatible to U.S. Constitution and basic human rights. It is a set of laws that were designed by a 7th century desert camel herder for a 7th century Arabian desert culture. These laws will set any culture and country back to 7th century Arabian culture which is a culture of death and oppression. The American people deserve better leadership that would show the same courage the Greek did for their people. 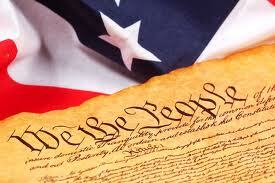 The American people must be mobilized to put God fearing Constitution obeying representatives to serve America. The election of 2012 is essential to the survival of the U.S. Constitution and keep it from the attacks from ideologies such as Islam and its Shari’ah.